The Big Push campaign all began on the Birth Policy Yahoo Group, established in 2004 by Katie Prown, PhD, a birth activist who was one of the leaders of the successful efforts to achieve CPM licensure in Wisconsin in 2006, and a pivotal leader in the larger movement. … A consultant, press liaison and advocate for organizations developing legislation to license Certified Professional Midwives (CPMs), Katherine is the Campaign Manager of the Big Push for Midwives Campaign. As Legislative Chair for the Wisconsin Guild of Midwives, Katherine drafted legislation to license Certified Professional Midwives in Wisconsin and co-led a statewide, bi-partisan grassroots advocacy campaign to successfully pass the bill into law in 2006. In support of that effort, she founded Wisconsin Birth Options, a statewide grassroots network devoted to maternity care reform in Wisconsin. Prown speaks widely and often about the purported safety of homebirth with a CPM. Curiously she never mentions that Wisconsin collects statistics about homebirths and year after year those statistics show that homebirth triples the rate of neonatal death. But now the statistics for 2008 are in and they the same as the statistics before licensure. The chart above (I love Excel!) graphically demonstrates two things. First, homebirth in Wisconsin with a direct entry midwife has triple the neonatal death rate of low risk hospital birth. Second, licensing midwives has made no difference in the death rate. That’s not surprising since a license is a legal document and confers no addition education or training. 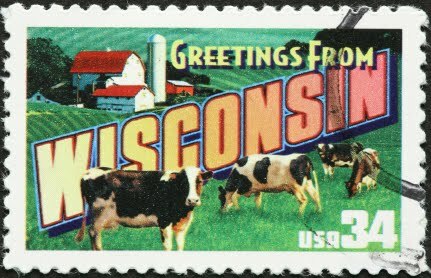 It merely stamps the imprimatur of the state of Wisconsin on a group of women who were undereducated and undertrained to begin with. The website for the Big Push Campaign is very attractive and filled with information. There are numerous assertions that homebirth with a CPM is a safe option, but no statistics to support that claim. That’s not surprising when you consider that there are no national or state statistics exist that would support that claim. Even in Katie Prown’s own state, the data tell the same sad tale over and over again. Homebirth increases the risk of neonatal death, and, of course, that information must be kept from American women. The Big Push Campaign is not about birth and it is obviously not about safety. It is about one and only one thing: money. Without a state license, CPMs cannot bill insurance companies or Medicaid. They must accept payment out of pocket and most women who choose homebirth cannot afford the thousands in fees that CPMs demand. But why should we license and pay a group of women who provide substandard care? How can you tout the safety of homebirth when the statistics from your own state show that homebirth increases the risk of neonatal death? ← Homebirth midwives: birth is my hobby! The link to the images is broken, can you re-post?